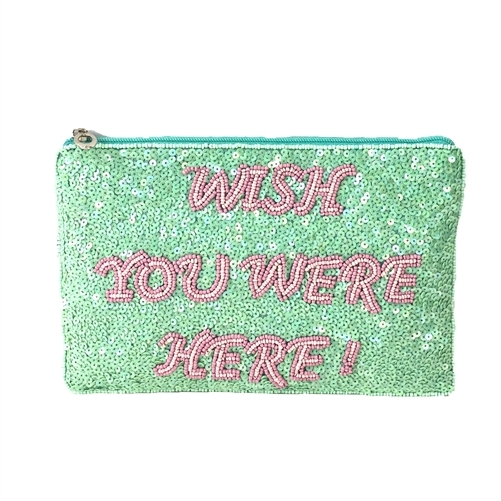 A beaded cheeky 'Wish You Were Here' message adds playful charm to this From St Xavier clutch that goes seamlessly from day to night. 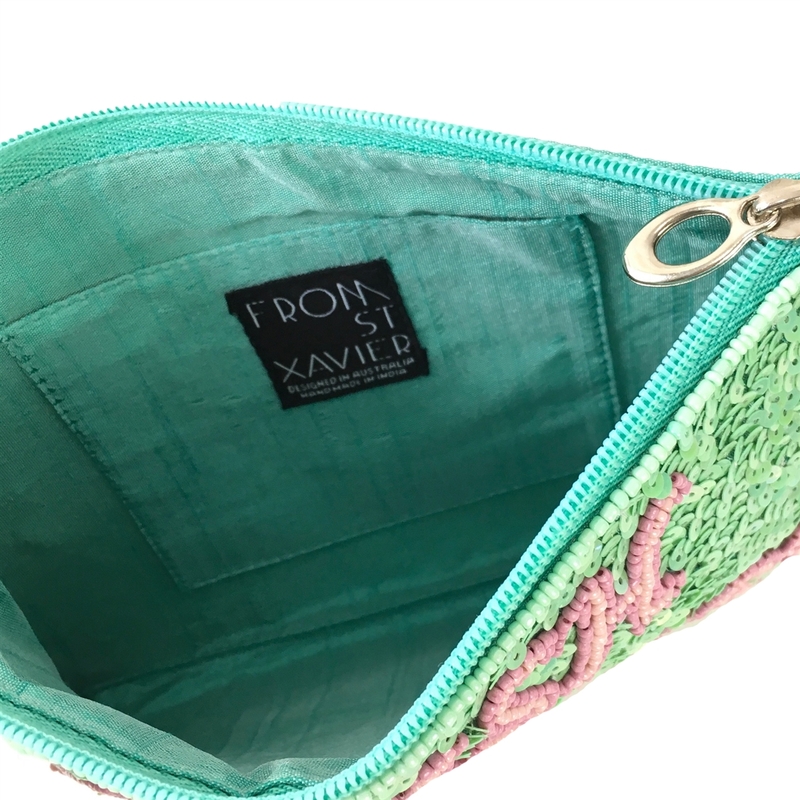 Attach the chain strap to this FSX handbag for hands free crossbody carry. 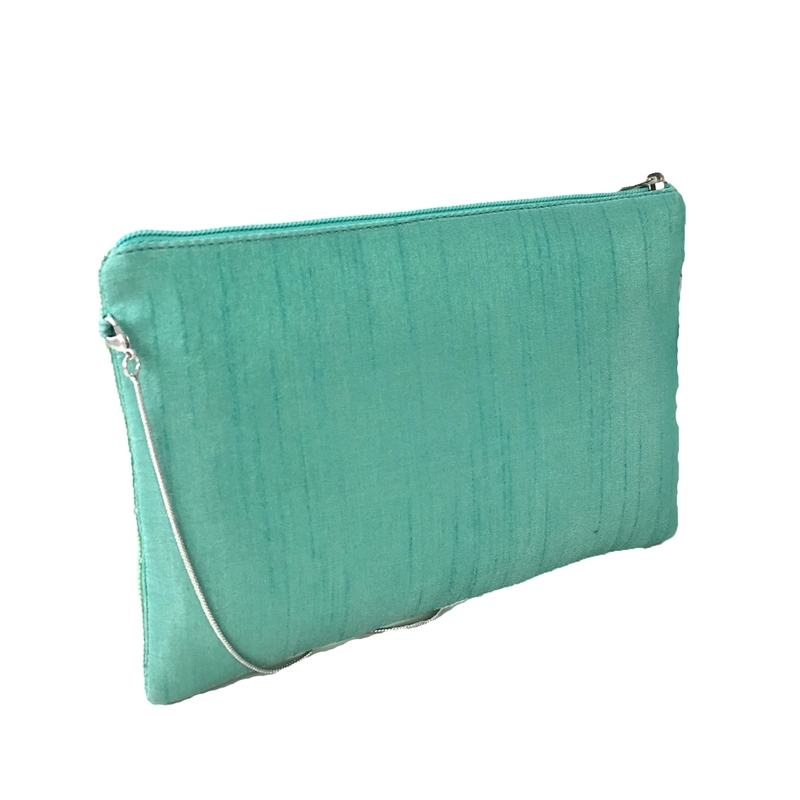 Convertible clutch in fabric with sequin and glass beads detailing. Front features playful "wish you were here" message.